When planning your destination wedding in the Golden Isles, you’ll also have to plan an additional event on Saint Simons Island or Jekyll Island: your rehearsal dinner. Of course, you will want your rehearsal dinner at a different location than your wedding. If your wedding ceremony and wedding reception are at a resort, there may be an alternative location to host your rehearsal dinner. Also keep in mind, an off-site wedding rehearsal dinner is a great way for your family and friends to see more of the beautiful islands you’ve chosen to host your wedding festivities. 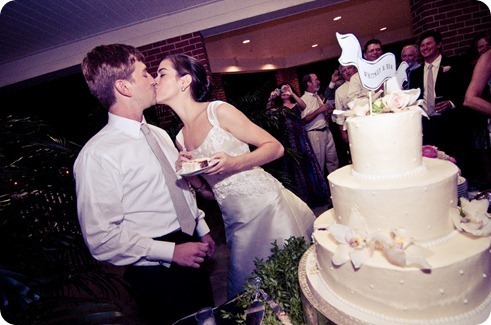 The Saint Simons Casino is a local favorite for both weddings and rehearsal dinners. Its open air atrium overlooks Neptune Park and the beautiful ocean makes it a perfect, casual location for a rehearsal dinner. You’re allowed to bring in your choice of caterer and supply your own alcohol, which makes this place a local favorite. Being maintained by the County, there are certain regulations which are overseen by a County representative and police officer during the event. Village Creek Landing is a favorite for nature enthusiasts as well as those looking for casual, rustic chic for their rehearsal dinner experience. 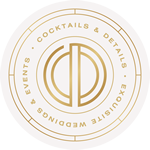 An exclusive Straton Hall venue, you’re in good hands as they will take care of everything you need– food, alcohol and florals. There are striking elements that makes Village Creek a unique location– the wooden gazebo, the boathouse which has an intimate indoor space and the grounds that overlook the beautiful marshes. There have even been dolphin sightings a time or two! Nestled in the heart of The Village is Palm Coast. A fun local favorite, Palm Coast has its own private courtyard where you can have live music and your own catering, while they provide the alcohol. This is perfect for those wanting something very casual and laid back, that will also allow guests the opportunity to explore The Village before or after the rehearsal dinner. If you’d like a more formal option or a location wth a breathtaking view, you can’t get any better than the King and Prince’s Retreat Room. What makes this ideal is that is not only a private room at the resort overlooking the ocean, it is also ideal for those having weddings at the King and Prince Resort. Keeping your guests all in location is very convenient and prevents extra transportation costs for you or them. Boasting one of the best views on Jekyll Island, Great Dunes gives you the best of both worlds– a covered pavilion as well as an open air deck. You are allowed to bring in your own caterer and alcohol. With nearby restrooms and ample parking, this location is perfect for beach inspired rehearsal dinners. Tortuga Jacks is a local favorite for the best Mexican food on Jekyll Island. With its fun outdoor cabana deck which features outdoor music, This is a wonderful place to meet with family and friends. The private room is large and comes with everything you need to host your rehearsal dinner. This rooftop bar / dining area is perfect for cocktail style or small rehearsal dinners that want style and sophistication. Harry’s overlooks Jekyll’s new village area and the ocean. Conveniently located at the Westin and within walking distance of the Jekyll Island Convention Center, this is the perfect rehearsal dinner option for weddings at either location. Whichever these locations you choose, we know you’ll have an amazing time! Where will you have your rehearsal dinner on Saint Simons or Jekyll Island? When the Westin Jekyll Island opened, I knew it was going to be an amazing wedding venue. Their courtyard provides a gorgeous ocean backdrop for a wedding ceremony or cocktail hour. It is always fun to team up with your wedding squad and flex your creative muscles. So when it was time to come up with a concept for our editorial shoot, the Westin Jekyll Island was the perfect place to tell the tale of a modern, fashionable wedding by the sea (cue DNCE’s “Cake by the Ocean“). We designed lush, ivory florals against a delicious palette of blush, gold and champagne. The balustrade lined platform is the perfect place for a Jekyll Island wedding ceremony. To frame the ceremony area, we debuted our new Devyn wall– a floral backdrop inspired by Kim Kardashian and Kanye West’s wedding in Florence. The table was just divine! I loved the play on texture with the metallic and soft blush linen for the dining table. It provided the perfect base for the tall trumpet arrangement at the center. Dinner in the courtyard of the Westin Jekyll Island is sublime! Guests will love the views!